We have a table named Orders1 , dates and parts. 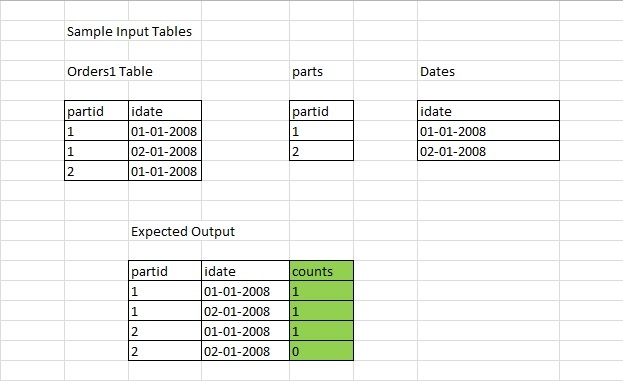 You have join all these tables and return part information , date and count. Your solution should be generic in nature.